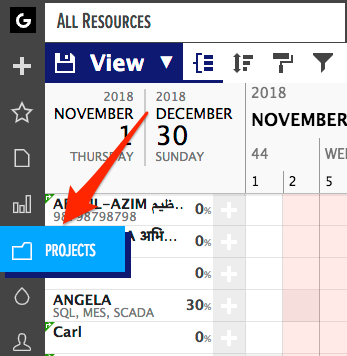 Same way as you can add Data Fields to Resources and Tasks, you can add them to Projects. The field types are fixed: Text, Number, List (colouring), Date (milestones), User, and Link. The possibilities, on the other hand, are endless. We know it's a cliche, but really they are. For example, you can add pictures to your Project with the Link option, or add the contacts number trough the Number option. Basically, if your Projects have data that you need to fit into the planner, Data Fields are the way to do it. 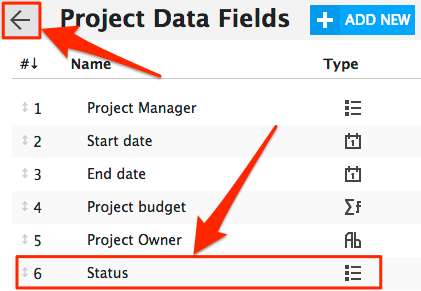 You can add Data Fields from the Project dialog or in the List View. You can also add Milestones through Data Fields. The Data Fields you have added will appear in all of the Project dialogs but you have to add a value for each Project individually. You'll find it on the top right of the list. This will open the Data Field types section. Through 'Date' Data Fields you can add Milestones to your projects. We will make this example based on the List type. You can use 'List' type Data Fields for colouring tasks and to report Project progress if the Data Field label is updated continuously. Did not find the answer to your question regarding projects' custom data fields?